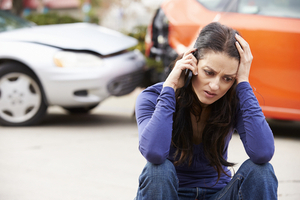 Have you been injured in an accident that was the result of someone else’s negligence? They’re own reckless behavior has left you picking up the pieces of your life as you pay medical bills, insurance costs, and at the very worst, funeral arrangements? We may be able to help. The Wolfson Law Firm’s personal injury lawyers of West Palm Beach have been in service for the community of South Florida for over fifty years, and they’re more than willing to help you with your case. Personal injury law can be confusing and is not at all built to be user friendly. That is why those with the experience and the knowhow to understand its complexities should be the ones to shoulder the burden, while you take the time to figure out your life and ensure that your loved ones are taken care of. We will promise to fight for your interests, to represent you against the insurance companies and other malicious entities that are opposed to you in your misfortune. If the people you love, or you personally have been in an accident, then the personal injury lawyers of West Palm Beach are here for you. Get on the phone with the Wolfson Law Firm at (855) 982-2067 for your free consultation, in order to fight back for what is yours. Personal injury claims are filed against a person, or an entity, better known as a business. Usually, claims such as these tend to be settled with little contact from the clients, with the attorneys doing the negotiating. One for the person that’s been in the accident, the other for the insurance company, and any other entities that are interested/responsible for the case. Should the claims not be negotiated to the satisfaction of all parties, then we move on to filing a lawsuit. We usually will file the litigation against a person or business and inform them of our attempt to fight this out using the court. This part takes time, but in the end may be needed for you to achieve the full and fair compensation that you deserve. From there other methods such as mediations and arbitrations may be taken to help settle your personal injury claim, but all of this is in effort to help you. With this arsenal of options that the injured victim has available, we can help in putting you in a position to receive the compensation you deserve. If you’re looking for representation regarding recovering lost wages, paying off medical bills, or just getting your life back in general, please do not hesitate to call. You and your loved ones have suffered enough from the accident, you should not have to deal with every little detail when you should be recovering. Contact the personal injury lawyers of Wolfson Law Firm today at (855) 982-2067 for your free consultation. Personal injury lawyers are experienced in helping people get their lives back on track. The negligence of another person, or business, should not mean that you must suffer silently. Do not trust that things will sort themselves out, you must fight for your rights, and we’re here to help with that fight. Any questions you may have we are ready to answer, including inquiries about treatment for your injury and recovering lost paychecks due to your accident. Give us a call so that you can rest easier. Contact the West Palm Beach personal injury attorneys and wrongful death lawyers of Wolfson Law Firm today at (855) 982-2067 for guidance. The Wolfson Law Firm personal injury accident lawyers have been happily and diligently serving the people of West Palm Beach and surrounding cities, including Hialeah, Miami, Lake Worth, Fort Lauderdale, and Hollywood.